Where Should I Use a Rag Mop? Rag mops are a more old-fashioned style of mop that uses rags or strings on the mop head to absorb mop water and clean the floor. Both string and strip style mops fall into this category. Usually, the strips of absorbent fabric or thick strings are attached by being sewn onto the mop head. This is necessary since glue could disintegrate with different kinds of floor cleaner. Rag mop heads may click or screw on to a handle. The handle is usually meant to be reusable, although some less expensive models have the handle permanently attached to the mop head. This means that as the mop deteriorates, you'll need to buy a completely new head and handle. What Are the Pros of Using a Rag Mop? Rag mops are very useful because they are more absorbent than other types of mops. These mops hold way more than a flat mop head or sponge mop could ever dream of. They are great for mopping up spills. They also get into corners and other tight spaces very well. Edge cleaning with a rag mop is often very good because the fibers are great at getting into places that other types of mops cannot reach. What Are the Cons to Using a Rag Mop? 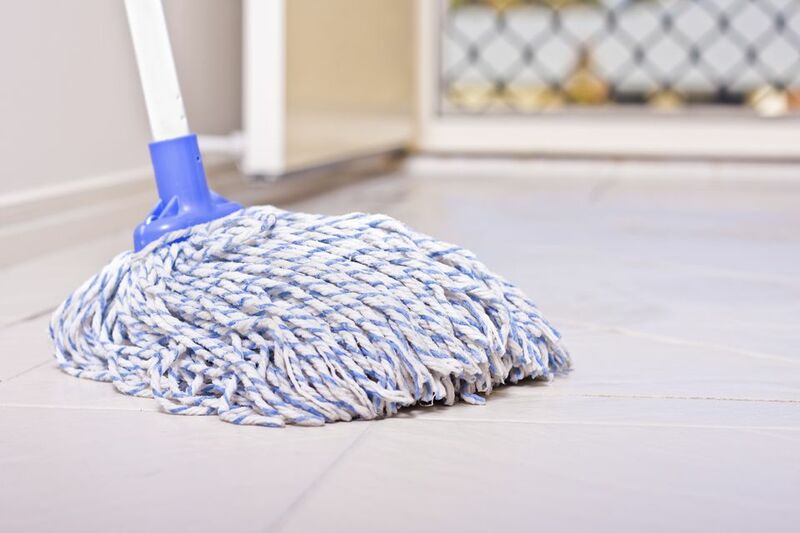 It can be more difficult to scrub a floor with a rag mop, although strip style mops may have the advantage over strings in the scrubbing category. One of the biggest disadvantages to rag mops is that they are more difficult to maintain. Another major disadvantage is that they tangle and disintegrate fairly quickly. Sometimes loose strings come out of the mop head and get left behind. There's no way to reattach these strings, so over time, your mop may show signs of balding. How Do I Maintain a Rag Mop? Mop heads must be rinsed thoroughly and allowed to dry completely to keep odors and germs away. Some mop heads are machine washable, however. But there is no guarantee when you wash a string mop head that it will come out in the same condition. String mops can get tangled easily and should never be washed or dried with anything else to prevent tangling. String and strip mop heads should be air dried instead of drying in a clothes dryer. When Should I Replace My Rag Mop? Rag mops should be replaced if they start to smell bad or change color. This could indicate that the mop has bacteria or fungus living in it. And while it is possible to bleach out and wash the mop, these harsher cleaning methods may ruin the mop. Rag mops should also be retired when they start to shed away more than 10-20% of their strips or strings. They stop becoming absorbent and effective then, and instead are just spreading a mess and should be thrown out.